New product for the week of October 08, 2012. Scored for clarinet, saxophone, bassoon, three horns, trombone, and men's choir. New product for the week of Sept 10th, 2012. New product for the week of Sept 10th, 2012. Uses: Advent, Christmas Scripture: Luke 2 From the composer of Tapestry of Light and The Winter Rose comes a new major work that is based on the traditional Lesson and Carols service. Filled to overflowing with beloved carols and original seasonal songs, this cantata tells the story of Christ's birth adorned with beautiful arrangements and meaningful Scriptures. The work includes optional moments for congregational participation, handbell ringers, and children's choir, if desired. Stunning orchestrations and a full line of support products are available to support your presentation. 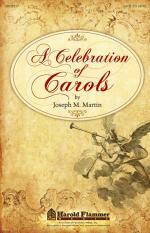 Titles include: A Christmas Overture; O Come, All Ye Faithful; A Prayer for Advent; People of Promise, Arise! ; Song of Hope and Joy; O Little Town of Bethlehem; My Soul Doth Magnify the Lord; Lullabies of Bethlehem; Angels We Have Heard on High; Carols for Seekers; Let Christmas Begin; A Christmas Trilogy. Available separately: SATB, SAB, iPrint Orch CD-rom, Printed Orchestration (Score & parts for Flute 1&2, Oboe, Clarinet 1&2, Bassoon, Horn 1&2, Trumpet 1,2&3, Trombone 1&2, Bass Trombone/Tuba, Timpani, Perc 1&2, Harp, Piano, Violin 1&2, Viola, Cello, Double Bass), iPrint Consort CD-rom, iPrint Handbells CD-rom, StudioTrax CD, Listening CD, 10-Pack Listening CDs, Preview Pack, RehearsalTrax CDs, Digital Resource Kit. Duration: ca. 59:21 (full performance) ca. 48:37 (w/o opt. congregational anthems). New product for the week of Sept 17th, 2012. Jazz Band, Sheet Music Package Download, Jazz Ensemble, Level 5. This Beatles classic is treated to a creative and varied setting in this production number from Richard Tuttobene. The lush chorale-like opening leads to a jazz waltz setting of the main theme featuring a flugelhorn soloist. The full ensemble is featured in a straight ahead swing section and the slow chorale style from the opening makes a brief yet effective return near the end. A unique tour de force for mature ensembles. Artist: The Beatles. Arranger: Richard Tuttobene. Composer: John Lennon; Paul McCartney. Writer: John Lennon; Paul McCartney; Richard Tuttobene; The Beatles. Jazz Band, Sheet Music Download, Jazz Ensemble, Level 2. Artist: The Beatles. Arranger: Michael Sweeney. Composer: John Lennon; Paul McCartney. Writer: John Lennon; Michael Sweeney; Paul McCartney; The Beatles. Concert Band, Sheet Music Download, Concert Band. Arranger: Paul Lavender. Composer: Jule Styne; Sammy Cahn. Writer: Jule Styne; Paul Lavender; Sammy Cahn. 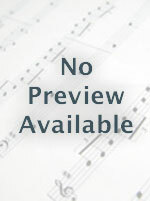 Choral Instrumental Pak, Sheet Music Download, Combo. Arranger: Kirby Shaw. Writer: Kirby Shaw. Jazz Band, Sheet Music Package Download, Jazz Ensemble, Level 4. Mike Tomaro uses tight harmonies and a smooth Bossa Nova style to revisit this timeless standard. A perfect fit for the 6-horn format, and a nice change of pace for programming. Arranger: Mike Tomaro. Composer: Eddie De Lange; Jimmy Van Heusen. Writer: Eddie De Lange; Jimmy Van Heusen; Mike Tomaro. Concert Band, Sheet Music Download, Concert Band, Level 2 to 3. Composer: Richard L. Saucedo. Writer: Richard L. Saucedo. Concert Band, Sheet Music Package Download, Concert Band, Level 2 to 3. Commemorating 100 years since "Titanic" was lost at sea, James Cameron released the 3-D version of his classic 1997 movie. Here is a touching arrangement of the familiar main theme scored for flexible instrumentation. Dur: 2:45 Artist: Celine Dion. Arranger: Paul Murtha. Composer: James Horner; Will Jennings. Writer: Celine Dion; James Horner; Paul Murtha; Will Jennings.